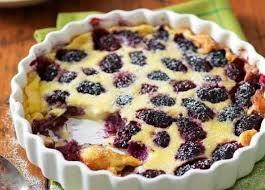 Cozy Chicks: SUMMER IS ALMOST OVER--TIME TO MAKE CLAFOUTIS! SUMMER IS ALMOST OVER--TIME TO MAKE CLAFOUTIS! I realize that depending on where you live, summer may actually *be* over, but I didn't want the season to slip away without sharing one of my favorite recipes. 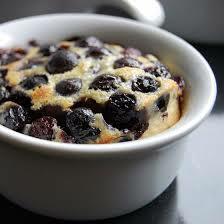 I was lucky enough to live in France and clafoutis was a popular dessert. It's versatile, and you can use whatever fruit you like (or whatever is in season.) 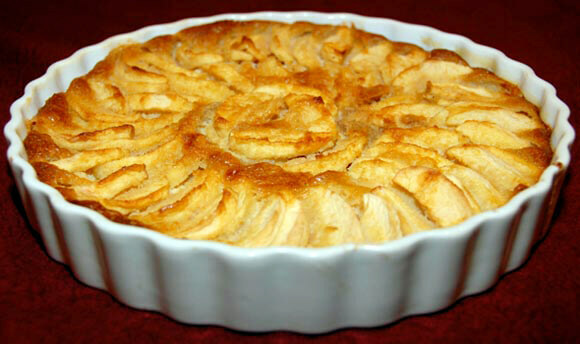 The picture above is of pear clafoutis. When you see how easy it is to make, you'll wonder why you never made this delicious dessert before. Can't you just picture having a nice cup of tea and a slice of clafoutis in mid-afternoon? Here's the recipe for the pear clafoutis. It's one of my favorites! The batter will rise up around the fruit. Hope you try this! !